Hello! we are here to tell you about The Tactigon team new progress, we are not able to "stand still" on a project. 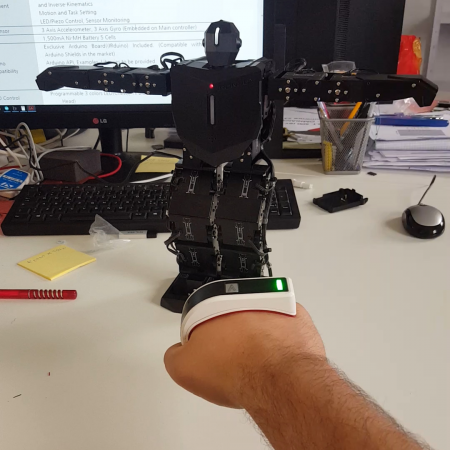 We've upgraded our previously created project of robot control by adding another Tactigon Skin to manage both arms of the robot, while keeping previous implemented actions - like walking and making bows. T-Skin is man-machine interface revolution. 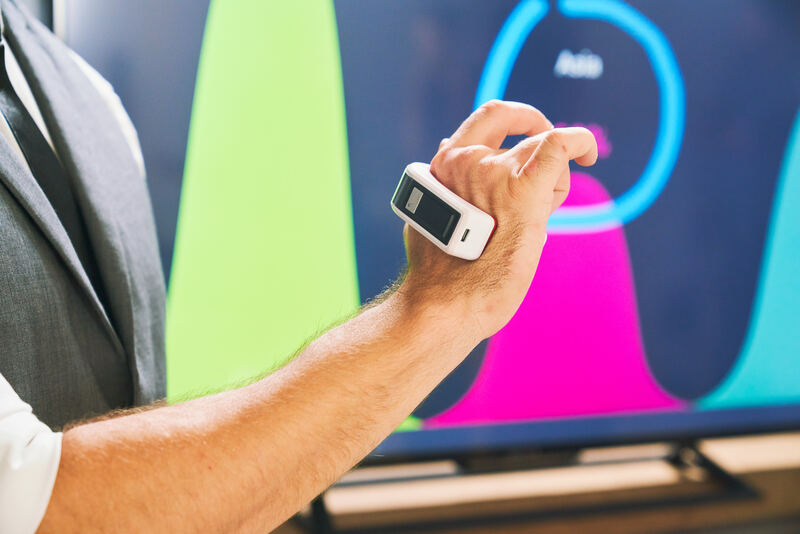 It’s the first programmable fashion design hand band and It’s not only a device for specialized and technology passionate people but it’s the real extension of the hand. Hand is our natural interface with real world, and with T-SKIN it becomes our interface with digital world. 1.2	How did we manage it? The humanoid robot has an Arduino Leonardo inside, and this time we have installed two Bluetooth Low Energy modules on the "backpack." The Tactigon board is inside its T-Skin hand band, providing 8 command buttons and an ergonomic case for both hands!